Puppy Profile: Mars and Jara's puppies will have outstanding temperaments and high trainability. They will inherit beautiful looks from both parents as well as outstanding temperaments. They will be suitable for show, breeding, work, service/therapy and make excellent family companions! Jara has been tested for degenerative myelopathy and is clear so the puppies will not be at risk for this disease. Dam Profile: V Jara Belona is a gorgeous, black and red female with an excellent temperament and great personality. She is very sweet and loves people! Jara has her V (excellent) rating and her Kkl1 (recommended to breed) along with her IPO1 (SchH1) title. 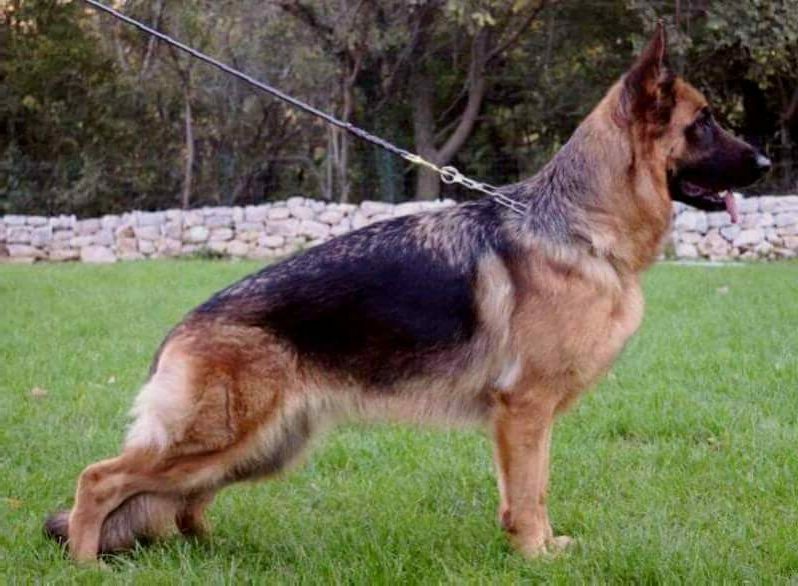 Her pedigree is filled with V/VA rated dogs including her father VA (world champion) Kronos von Nurburgring, VA Enosch von Amasis, VA Ober von Bad-Boll and VA Zamp vom Thermodos. Jara will pass long her excellent temperament and healthy bloodlines to her pups along with her nice red pigment. Jana's hips and elbows are rated A1/A1, the highest European rating. Jara has also been tested for degenerative myelopathy and is clear (DM clear) so her puppies will not be at risk for this disease. 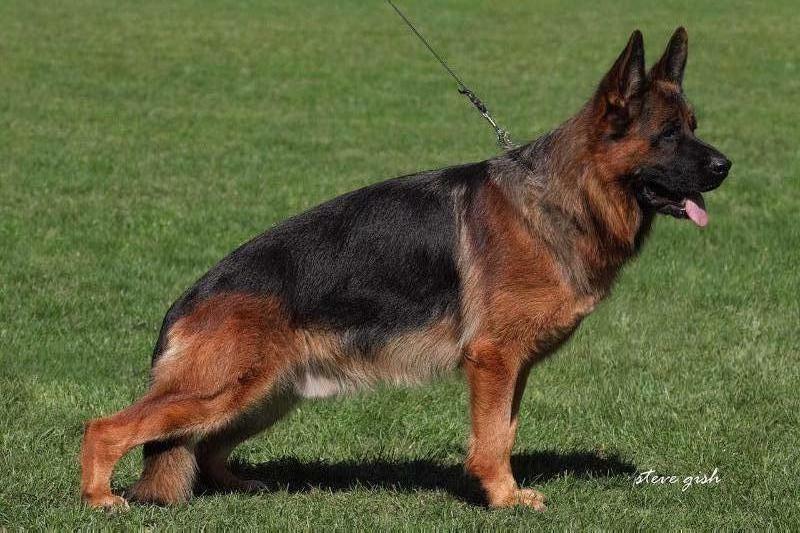 Stud Profile: SG20 (BSZS) Mars von Aurelius is gorgeous black and red male with an outstanding temperament. He is ranked 20th in the world as a young dog in the 2017 German Sieger (BSZS) show. Mars has his Kkl1 (recommended to breed) and his IPO1 (SchH1) title. Mars's pedigree is packed with an impressive list of V and VA rated dogs. On his father's side, his grandfather his VA Sabaat von Aurelius and his great-grandparents include VA Ober von Bad-Boll, VA Juri vom Schollweiher and VA Arex von der Wilhelmswarte. Mars's mother is VA Yava von Aurelius and his grandparents and great-grandparents on his dam's side include VA Wallaby vom Kapellenberg, VA Ulli von Aurelius, VA Yoker vom Leithawald and VA Nero vom Nobachtal. Mars's hips and elbows are rated A/A1, the highest European rating. Mars will pass along beauty and substance to his puppies along with great black and red pigment and healthy bloodlines.